I was inspired by a discussion I had on HuffPost Live last week. We spoke about how preparation helps when introverts attempt to make friends. It occurred to me that building relationships at work also relates to preparation. In fact, the quiet influencers who have the most fluid and comfortable conversations consciously prepare for these interactions. Here are some examples of how they prepare to build relationships at work. 1) Set up space and times to talk. Consider how your workspace enhances or discourages conversations. If you work in a noisy or busy space take a walk with a colleague or move to a private area. Scope these places out ahead of time. Schedule phone calls or video conferencing so that you are both focused. 2) Make time for face time. Be intentional about it. John Maeda, the head of the Rhode Island School of Design learned to get off the computer and connect with people. He found that scheduling ‘walking around’ time was useful. 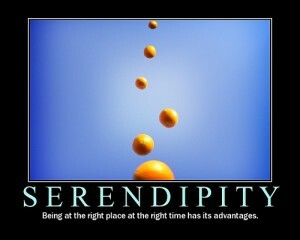 3) Allow for serendipity. Companies are encouraging workplace happenstance that leads to innovation and creative ideas. For instance, the late Apple CEO Steve Jobs built central bathrooms at Pixar to foster connections between different people. Google’s Vice-President, David Radcliffe, designed their 2015 headquarters in a way to encourage ‘casual collisions of the work force.’ As a result, the new design will place employees no further than a 2 1/2 minute walk from each other. Why not eat lunch with some new people once in while or take your breaks in a different part of the building? So with a little prep you will be more confident AND strengthen your workplace relationships. Let me know how it goes for you. Would love to hear your tips….just comment here:) Thanks! This entry was posted in introvert, Jennifer Kahnweiler and tagged David Radcliffe, Google, Huff Post LIve, introvert, introverted leader, Introverts, jennifer kahnweiler, John Maeda, Pixar, Steve Jobs on August 19, 2013 by Jennifer Kahnweiler. Thank you *so much* for being my ALCTS President’s Program speaker at the American Library Association’s Annual Conference last week. You went above and beyond in customizing your remarks for our particular audience. Your talk was substantive, lively, and extraordinarily well-received by all of our attendees. You were so gracious about signing copies of your book afterwards, too. I saw you give personal attention to each and every individual in that long line! Compliments on the program continue to roll in. Thank you for being the highlight of this introvert’s year as President!